After a long time of hearing the code name "Project Scorpio" for Microsoft's next console, we finally have an official product name -- Xbox One X. The 4K/60-focused gaming system launches on November 7, just in time for the 2017 holiday shopping season. Parents will appreciate the backwards compatibility -- it can run all Xbox One games and works with all existing accessories too. In other words, you don't need to start the library anew. 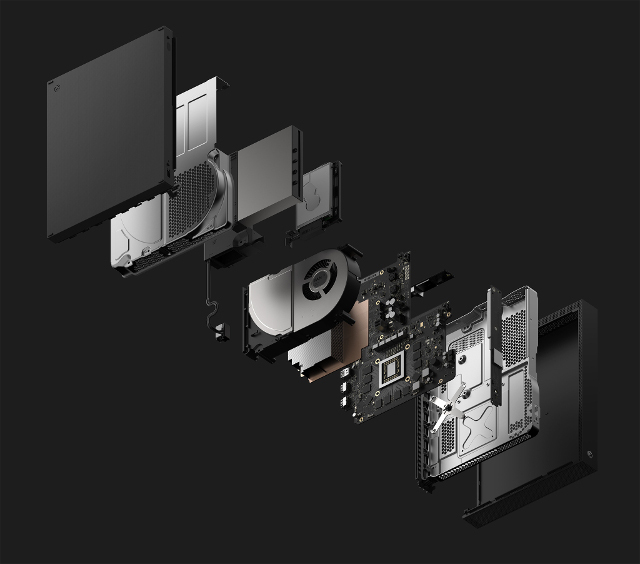 The Xbox One X has an AMD-designed octa-core CPU clocked at 2.3GHz, a 6-teraflop Radeon GPU, and 12GB of GDDR5 memory with an impressive 326GB/sec memory bandwidth. For storage, it will come with a 1TB hard drive -- no more 500GB. It once again features a 4K Blu-ray drive too. This new console easily beats the PlayStation 4 Pro, which should give Sony some concern. While the PS4 has many great exclusives, so too will the Xbox One/S/X -- Microsoft announces 22 such games being shown at E3. "The world’s most powerful console begins rolling out to all Xbox One markets starting on Nov. 7. With 40 percent more power than any other console, experience immersive true 4K gaming when paired with a 4K display, such as Samsung’s flagship QLED TV. Xbox One X makes your existing library even better, with better textures, smoother frame rates and faster load times, even on a 1080p TV. 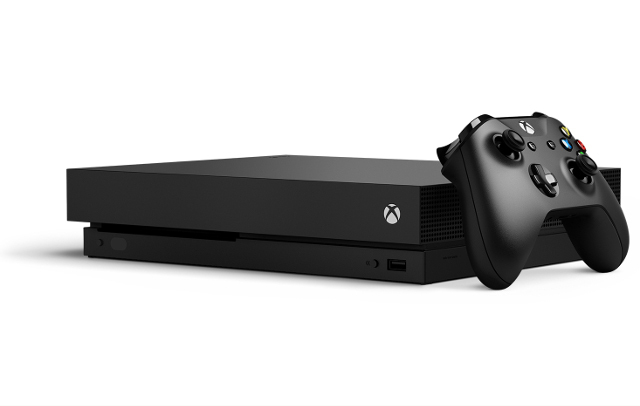 Xbox One X also offers the ultimate 4K entertainment package with 4K Ultra HD for Blu-ray X and streamed content, HDR support for gaming and video, and Dolby Atmos support," says Microsoft. Shockingly, despite being the most powerful Xbox console ever, it is also the smallest. Microsoft is highlighting the use of water-cooling and a new power management system to keep temperatures down. So don't worry, your game console won't overheat due to a small chassis. It even retains the built-in power supply. Speaking of backwards compatibility, it will play all Xbox One games. It will also be compatible with some Xbox 360 games through the existing compatibility program. Today, the company announces that it will take things a step further -- it is delivering some original Xbox games too. There will even be some free (and paid) 4K upgrades for existing Xbox One games. Phil Spencer, Head of Xbox explains, "Xbox empowers game developers large and small to create different types of games for every type of player. Not only do we have the biggest cross-platform blockbusters on our platform, we've also scoured the world to bring our fans unique content from creative artists that capture the imagination." How much will Xbox One X cost? A rather high $499 in the USA. Outside of America, the company lists the cost of "449 pounds, 499 euros, CA$599 and AU$649." For all you are getting hardware wise, I suppose it is reasonable, but it will be a hard sale to parents during the holidays -- especially when their kids already own an Xbox One or One S.
Will you be buying Xbox One X? Tell me in the comments below.